There are 8 bear species on the planet. They pose a danger to humans which is why they have always been hunted and killed. People have used their fur, fat and meat, made decorations from their claws, decorated walls of aristocratic mansions with stuffed bears. However, bears have always been targeted for another reason. Paradoxically, the most valuable part of a bear is its gallbladder. Traditional Chinese medicine uses bile of 44 animal species. For more than 3,000 years, bear bile has been used as a cure for many diseases – bile stones, diabetes, high blood pressure, or eye infections. First written records of using bear bile originate in the Tang dynasty period (659 AD). Unlike many other ingredients used in the traditional medicine, bear bile has real healing effects. It contains mixture of more than 100 different substances but the main component is ursodeoxycholic acid UDCA (C24H40O4) which dissolves bile stones, protects liver, decreases fever and most likely has other unknown effects. So far, scientists don't exactly know how the UCDA works but generally speaking, it is a kind of a detergent inside the body and it neutralizes poisons. UCDA is in a human gallbladder, too, but only in a small amount (it makes up only around 4% of bile). UDCA was discovered in 1927 when it was isolated from dried bear bile. In 1955, an alternative was found – similarly functional UDCA was derived from beef bile from a slaughterhouse (nowadays, it is created also synthetically). Since then, it has been used even in the Western medicine. Medicaments are sold under commercial titles Ursodiol, Ursofalk, Ursosan, Actigall etc. and are prescribed for patients suffering from liver cirrhosis, bile stones etc. Unfortunately, many people in Asia still prefer traditional medicine (or Western medicine is not accessible, trustworthy or known to them). Even though there is a cheap and clean (not contaminated) alternative, a persuasion persists in Asia that bile of a bear is better, and that the best is bile of a wild bear (not from a farm). The biggest consumers of bear bile are China and Japan where it is still highly valued. 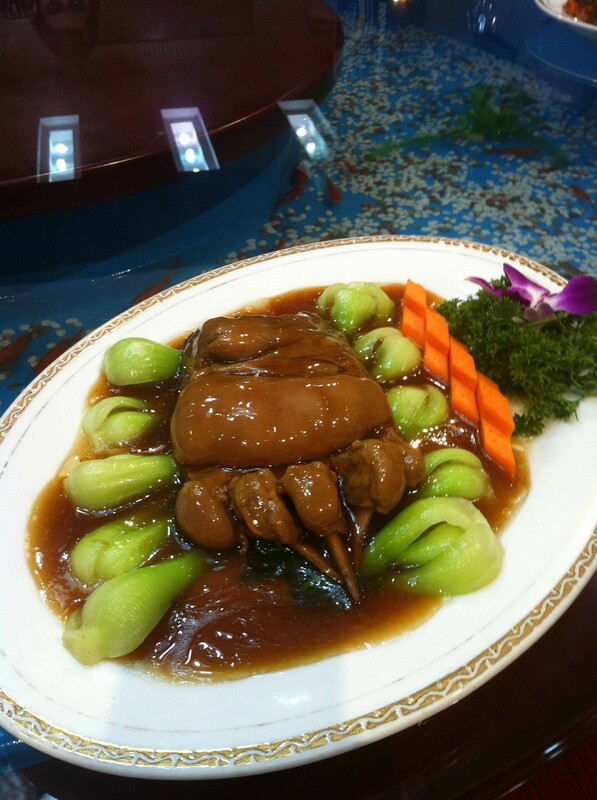 In China, the price of bile is around 400 USD/kg (a whole gallbladder costs around 1,000 USD). The price can be up to 50 times higher in Korea and even 80 times higher in Japan (33,000 USD/kg). In the past 10 years, there has been an average 180-fold increase in the bear bile price in Asia. How to obtain bile from a bear? Gallbladder and bile can be, of course, obtained by killing a bear. That is how it was done for centuries. A few decades ago, people invented an improvement based on keeping a bear in a cage instead of killing it. This allows people to keep using the bear for a longer time and obtain more of its bile. The technique of bile collection was developed in North Korea. It is not surprising that the method was created in a country where the regime is so cruel even to its own people. The method is based on insertion of a tube into the animal's gallbladder followed by collection of bile. Insertion of the tube (catheterization) can be permanent or repeated. In case of permanent catheterization, the tube is connected with a plastic container hidden under a steal jacket. The jacket is fixed around the bear's abdomen to avoid ripping the catheter off. During this collection method, the mortality of bears is around 50-60% (even though jackets are now officially banned, they are still used sometimes). In case of repeated collection, bears have their gallbladders pierced over and over again with a steal tube. 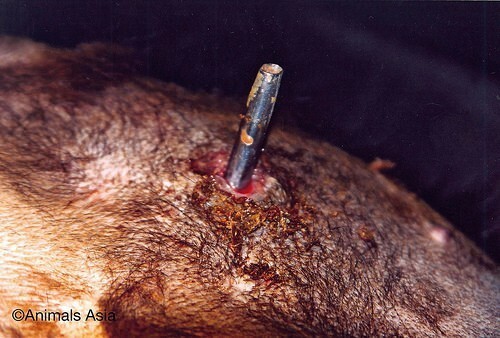 This method is used for instance in Vietnam where bears are drugged first and then “milked”. Guizhentang Pharmaceuticals (one of Chinese pharmaceutical companies owning giant bear farms) states that it now uses a modern sophisticated collection method. A surgeon creates a hole in gallbladder of 3-year-old bears and creates a tube connecting the gallbladder with subcutis (either from bears' own tissue, or using a latex tube). During collections, bear's skin is pierced with a 12 cm long needle and bile drips into a small container (bile is collected daily, production is around 100 ml/collection). Are bile bear farms a solution? Traditionally, bear gallbladders were obtained by hunting and killing a bear. However, due to a significant decrease of bears, China banned bear hunting in 1980 and declared all wild bears protected. Consequently, bear farms producing bile began to be established. Chinese government supported establishing such farms and claimed that it was the way of meeting the demand and protecting wild bear population from decimation by hunting. However, another problem appeared – with development of farms, bile suddenly became more affordable, and so the number of consumers and thus the demand increased. A so the spiral began to spin… Nowadays, the main producers of bear bile are China and Vietnam, yet the situation in both countries is radically different. In China, bear farms are legal. On 97 farms, around 10,000 bears are being kept and the number is still increasing (in 2007, it was 68 farms and 7,000 bears). It is necessary to realize that bears are solitary animals and keeping them in groups is very stressful for them. Farms are owned by giant pharmaceutical companies and some of them keep huge numbers of animals. In China, dominant type of goods are products containing bile (pills and other medicaments), unlike in Vietnam, where gallbladders and raw bile are dominant. In 2004, China implemented official system of labelling of products containing bear bile and, allegedly, also created standardized breeding conditions on farms. Farms are economically beneficial for a region as they employ many people (one farm can have up to 700 employees). However, the situation is not as unproblematic and under control as Chinese authorities claim. Although bile from farms is cheaper, consumers still prefer bile of bears from the wild which is much more valuable to them (its price is up to 65 times higher). Most farms are located in North-East China where a wild bear population lives. There are still illegal captures of bear cubs for both farm breeding and poaching (a few bear cubs destined for bear farms are seized every year). There are around 1 billion potential users in China and it is in bear farm owners' interest to increase the demand for their goods and promote themselves. To have higher profits, they started claiming that bear bile is cure for almost everything. They recommend it for healing acne, for use in cosmetics, toothpastes, teas, and to treat hangover (it is mixed with rice wine which can be very dangerous for liver). Bear farms are legal in Korea as well. On the contrary, in Vietnam, bear farms are illegal and hunting of bears and trade in bear products are banned. There used to be 1,453 farms with around 4,200 bears in Vietnam – usually small family companies with a few animals. After the ban in 2005, the number of kept bears dropped to 1,200. However, a gap in law enabled former farmers to keep the bears as pets and to show them to tourists. In fact, the farmers very often illegally “milk” bear bile and sell it. Most farms are located in the north of Vietnam in the surroundings of Hanoi where tourists from China, Korea and Taiwan go to buy bile. Price of bile in Vietnam is very low (in 2012, a small bottle cost 4 USD) but it is slowly increasing. There is a higher interest in whole gallbladders (the price can be up to 1,000 USD but there are also fake gallbladders on the market) or bear paws. Consumers strongly prefer bile from the wild (farm bile is allegedly less effective and “unclean” – due to possible contamination by infection). Thanks to the influence of international conservation organizations and after publishing of drastic pictures and videos, conditions on bear farms have slightly improved in recent years. However, it is a question whether it has improved everywhere and whether it is not rather something like Potěmkin villages in some cases. Permanent catheters and metal jackets have been replaced by quick (allegedly sterile) bile collections and latex tubes. Spokespersons of big farms claim that with the exception of occasional discomfort during collections bears are treated well, they have large enclosures and live happy. Trade in bear products poses a significant threat to wild bear populations that have been decreasing worldwide. The main source of bile is Asian black bear, followed by Sun bear that, however, is smaller and so is the yield. Besides poaching and farm breeding of these two species, traffickers have focused on other bears in the recent years – American black bears, grizzly bears and polar bears – gallbladders of which they buy from trophy hunters in USA, Canada or Europe. Bear bile or gallbladders are seized also in the Czech Republic. It is hard to avoid asking – how can a creature proclaiming itself the most intelligent being on the planet do such things? People often say they don't understand why in case of a certain problem, no simple and obvious solution is applied. However, problems are usually more complicated than people realize (and not just in nature conservation). In the case of bears, there is no simple solution either and the situation is very emotional due to an obvious animal torture. During its life, one farm bear can produce an amount of bile equivalent to the amount obtained from 230-250 killed bears. The main argument of bear farm supporters is that without breeding on farms, poaching of wild bears would increase. This might be true. However, is bear bile really necessary? We must ask why the bear bile is still being used despite the existence of the similarly effective alternative. It is about belief, awareness and approach of consumers in Asia. Of course, the solution is in raising awareness – but how to effectively persuade and re-educate more than one billion Chinese, 90 million Vietnamese etc.? Chinese pharmaceutical companies owning bear farms won't voluntarily promote alternative products “stealing” their profit. This is rather a field for active approach of state authorities, schools, media or non-governmental organizations. 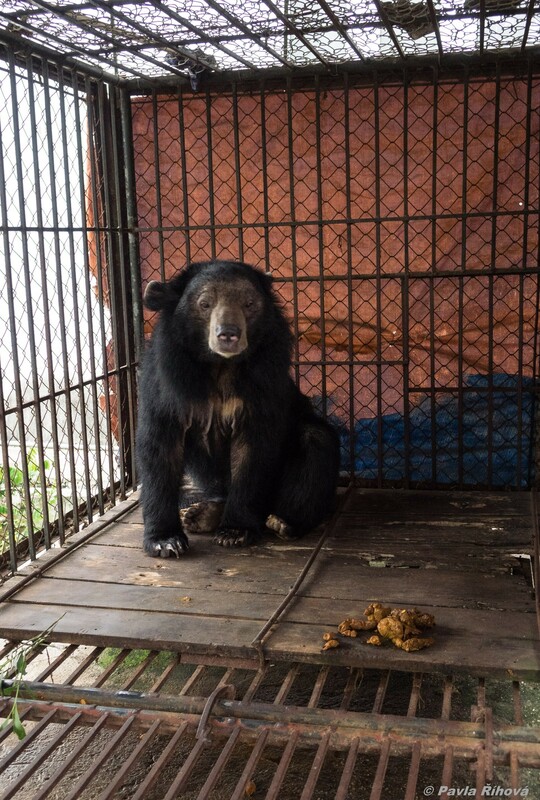 One of the most active conservation organizations drawing attention to the issue of bears is Animals Asia which has been focused on bear farms since 1998. 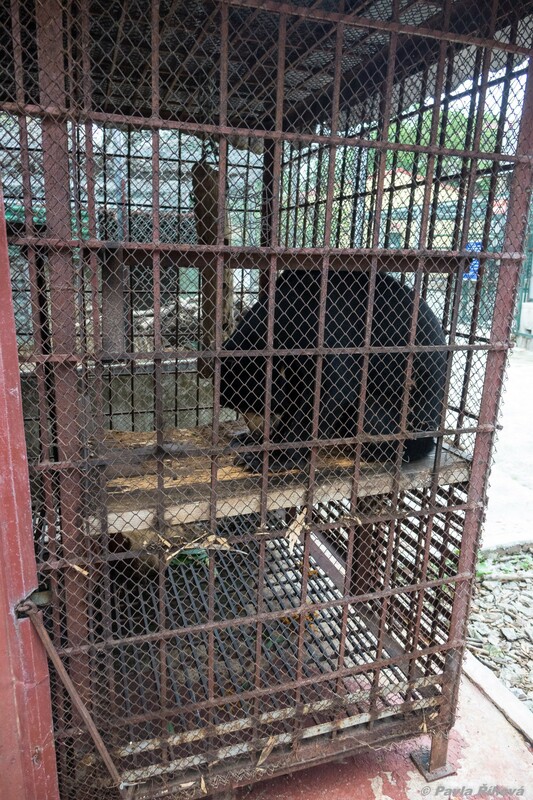 In 2015, Animals Asia managed to sign an agreement with a Vietnamese Medical Chamber of Traditional Medicine according to which doctors will have ended prescribing products with bear bile by 2020. Another successful step is signing a memorandum with the government about closing all bear farms in Vietnam (i.e. also those that operate as pet farms for tourists after the ban from 2005). Unfortunately, a part of farmers responded by killing their bears and selling their body parts. A still unanswered question is China where bear farms and trade in bile are still legal. If bear farms were banned, there would be another problem – where should farms bears go? Just in China alone, there are more than 10,000 bears taken away from their mothers as cubs and such bears cannot be released to the wild. Who would finance rescue centres for thousands of bears that need space, food and can live for decades? Rescue centres run by non-governmental organizations (e.g. Animals Asia currently takes care of around 700 bears) provide bears with bearable conditions but their capacity, of course, is not unlimited. Institutions run by the state or by local administrations are usually not doing well in Asia. They mostly suffer from lack of finance and experienced staff. 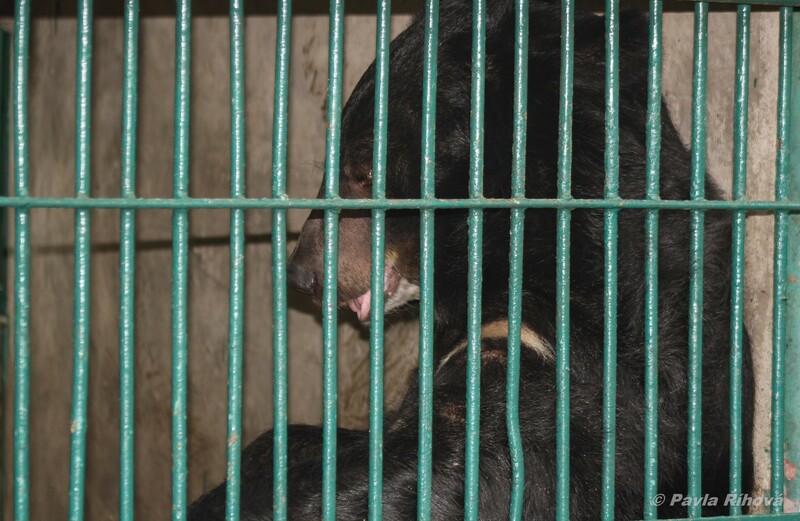 Conditions in which bears are kept are often not much better than those on bear farms, with the exception that there are no bile collections. Small cage and daily feeding must be enough. Government nor city halls won't pay any extra money. Trade in bears is not just about bile but also about other bear body parts. And not just in Asia but in Europe and America as well. There are still bears dancing in the streets for entertainment of people, bears performing in circuses or kept by rich people as symbols of status or pets. Animals captured illegally in the wild are “laundered” as bears from farms to obtain import permits. In total, trade in bears have doubled in the past 10 years, and it is not just the issue of Asian species but all bear species of the world. For example, bear paws considered by Chinese a delicacy are traded. 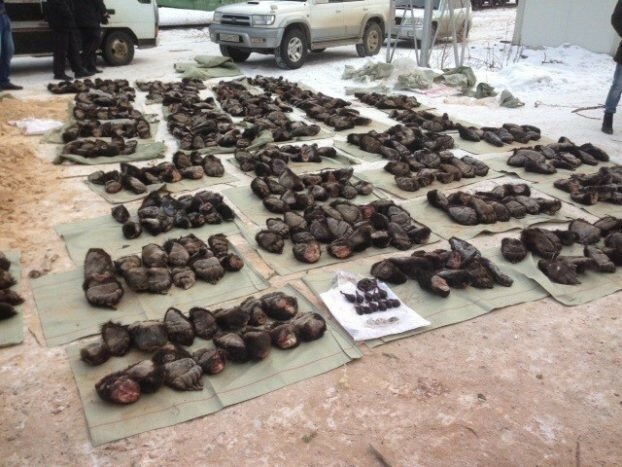 Seizures of bear paws are reported worldwide – in USA, China and even in Europe. A bear paw soup costs around 1,400 USD. Bears are also a classic target of trophy hunting that is usually focused on charismatic and dangerous animals. To the Czech Republic, bear trophies are imported from Kamchatka, Canada or Alaska where bears grow to great size. Sometimes, the trophies are imported without permits and they are seized at the airport. In the Czech Republic, bear is listed as a protected species and according to the hunting law, it cannot be hunted (actually, the Czech population has 10 individuals at most). In Slovakia, however, there are around 1,300 bears and it is permitted to hunt them. The can be hunted only with a permit and the population is reduced by approximately 10% per year. Allegedly, it is a regulatory hunting of problematic animals that pose risk to local people, visit villages, invade hen houses etc. Usually, these problematic individuals are wandering young animals searching for a new territory. However, the control here is not perfect – adult trophy animals are often killed (especially large males) which actually is not a regulatory hunting. A hunter will not shoot any undersized youngster when he wants a trophy of a large beast!